Hwb+ provides a secure learning platform for our school with avatars, fun themes, Web 2.0 tools such as blogs and wikis and much more. Hwb+ also includes Microsoft Office 365. We use Hwb+ to collaborate and to work on curriculum through projects and assignments. 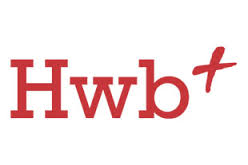 Hwb+ is available free to all Welsh schools. Collaboration between teachers, pupils and school – across Wales. Access controlled content – a safe environment to learn and share. The video shows all the great features of Hwb+, the learning platform for all schools in Wales.